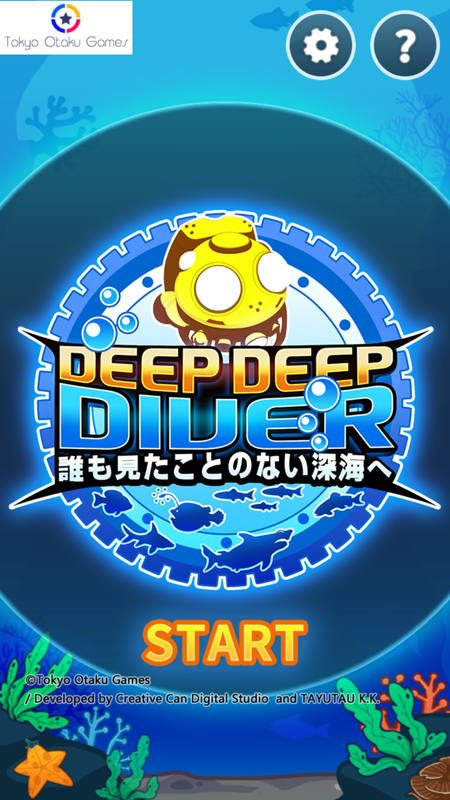 Deep Deep Diver is a simple casual game where the goal is to dive as deep as you can while avoiding rocks and fish. 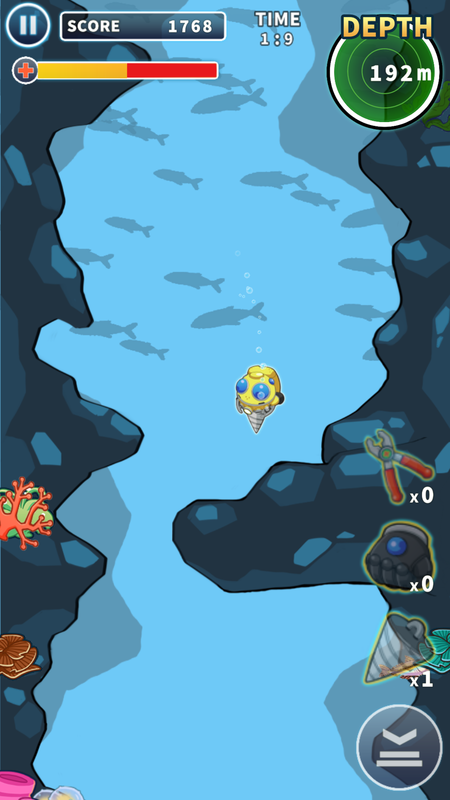 Player has to tilt the device left and right to control the direction of the submarine. 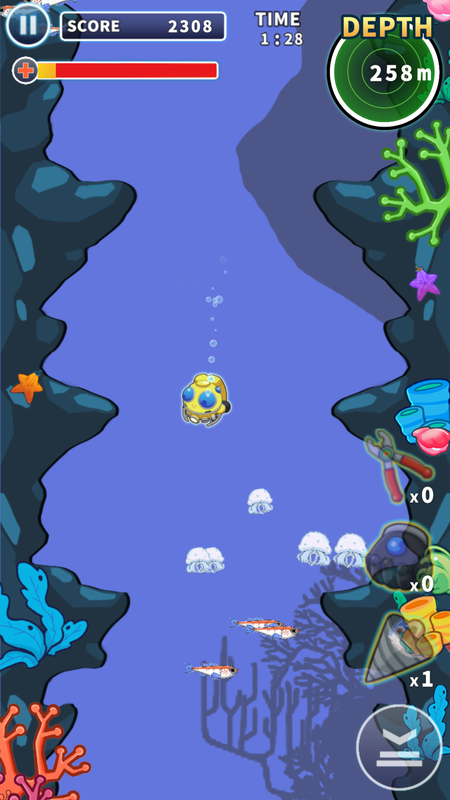 Player can stop the submarine by long pressing the brake button in the lower right corner of the screen. 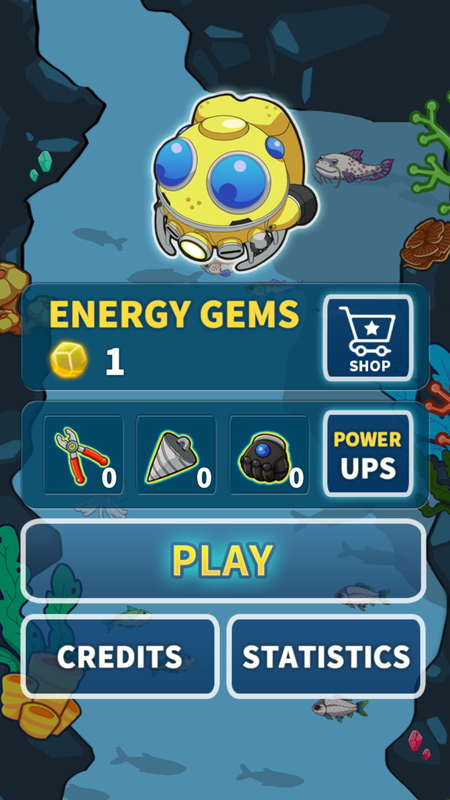 There are three types of Power Ups to help the player in the deep sea adventure. Players can get them while playing the game or buy them in the Power Up Shop.